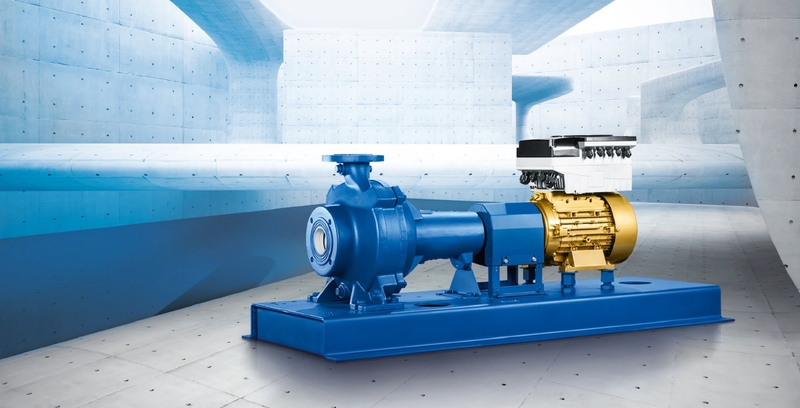 The new generation of waste water pumps: in combination with non-clogging impellers and high-efficiency KSB motors, the Amarex KRT and Sewatec type series offer even better overall efficiency. Municipal, domestic or industrial waste water: the submersible motor pumps of the Amarex KRT type series are the perfect match for all waste water transport requirements. And so are the waste water pumps of the Sewatec series. They, too, are first choice for waste water applications. Not least because KSB’s waste water pumps combined with high-efficiency motors enable significant energy savings. This applies to both Amarex KRT and Sewatec. Maximum efficiency and a minimum clogging risk for KSB waste water pumps are provided by the F-max free-flow impeller. With the asymmetric arrangement of its vanes, F-max offers a large, free passage that allows solids of different sizes to pass without difficulty. Moreover, the slightly convex profile of the hub in the middle of the impeller reliably prevents all risk of clogging from long-fibrous materials such as hygiene wipes. The F-max free-flow impeller is available for the submersible waste water pumps of the Amarex KRT and the dry-installed waste water pumps of the Sewatec series. 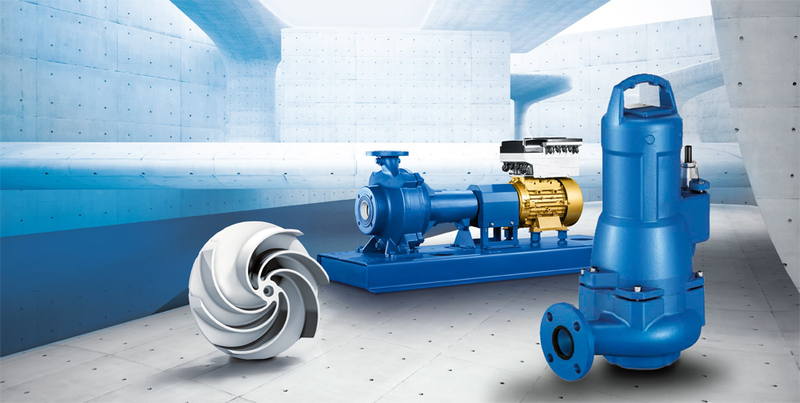 The combination of KSB waste water pumps with high-efficiency motors enables considerable energy savings. The economical motors are integrated in the pump sets as standard. The pump sets can be supplied with or without explosion protection. 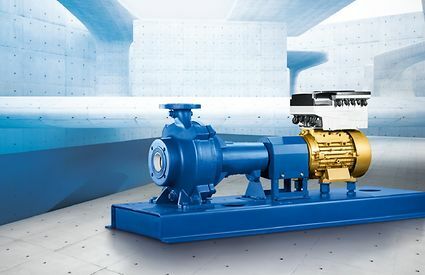 The dry-installed pumps of the Sewatec type series are fitted with the variable-speed, magnet-less KSB SuPremE® IE4* motor, which already exceeds the ErP requirements set for 2017. 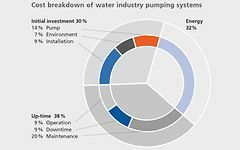 The efficient pump set, consisting of a waste water pump and motor, promises maximum savings from low energy and maintenance costs, optimum operating reliability and constant performance data. 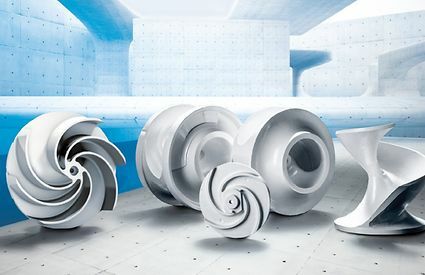 Besides specially adapted impellers and energy-efficient motors, KSB offers a wide range of installation types as well as a large choice of materials for waste water pumps. 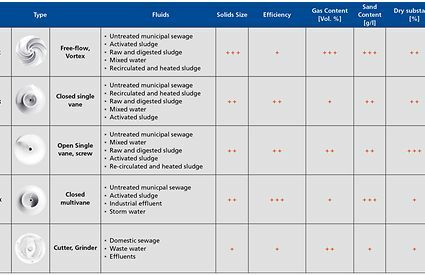 So the best solution is available for each waste water application – for optimum efficiency and operating reliability. 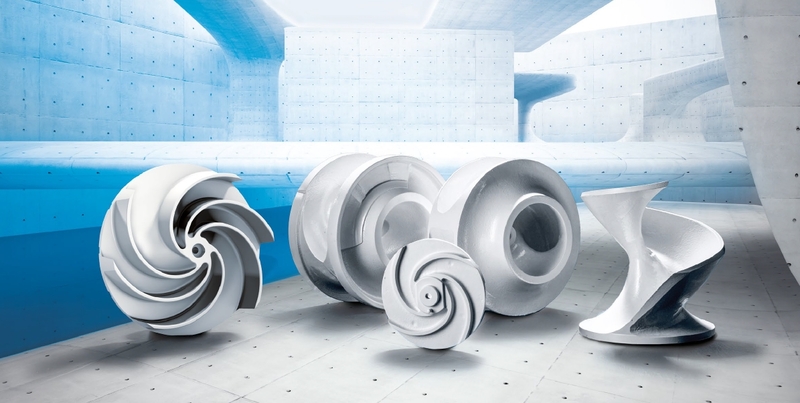 In waste water applications, pump impellers play a key role: the design, geometry and free passage of an optimally selected impeller ensure maximum freedom from clogging and energy efficiency. Different impeller types can be used depending on the respective requirements. With its broad range of impellers, KSB offers specialised technologies for every type of application in waste water transport. The combination of high-efficiency motors with non-clogging impellers enable the waste water pumps to achieve a very high overall level of efficiency. The submersible motors of the Amarex KRT type series meet the requirements of the IE3* directive. 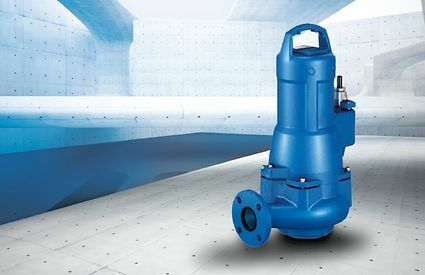 KSB's submersible motor pumps are available up to a drive power of 850 kW as standard. The motors are mechanically and electrically adapted to the special requirements of waste water transport. Optimised rotors made of aluminium enable help cut down magnetic losses resulting in considerably reduced operating temperatures. The product's low energy consumption and long lifespan are thus ensured. In addition, energy consumption is substantially lowered by optimised windings. So the pumps' overall energy demand is considerably decreased depending on the operating data. *The IEC 60034-30 standard is not binding for submersible motors. Efficiencies calculated/determined as per the measurement method specified in IEC 60034-2. The marking is used for submersible motors that achieve efficiency levels similar to those of standardised motors to the IEC 60034-30 standard. The operating costs of a dry-installed Sewatec waste water pump can be considerably reduced by combining it with the high-efficiency KSB SupremE® motor. The variable speed, magnet-less motor already exceeds the ErP requirements set for 2017 and meets the IE4 efficiency level in line with ICE/CD 60034-30. As of now, the PumpDrive variable speed system is available with three new functions especially designed to prevent clogging: start-up at maximum speed, flow velocity monitoring as well as a rinsing function. KSB offers the right installation variant for every system. 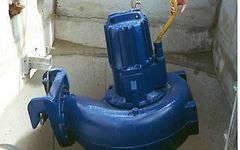 Submersible motor pumps are used in pumping stations requiring wet-installed pumps and are located directly in the pump sump. Separate machine rooms are not needed. As a result, the planning and investment costs for the pumping station building itself are correspondingly low. For wet installation, a lifting chain or a rod system are used to lower the submersible motor pump into its final installation position and lift it out again as necessary. Monitoring sensors are fitted to the submersible motor as standard in order to prevent any water or moisture from entering the motor. With dry installations, the pumps are located in the dry area of the machine room and the pumps are directly accessible. Maintenance work is performed under more hygienic conditions than with wet installation, as only the inside of the pumps comes into contact with the fluid handled. In addition, the pump can be fitted with sensors for pump monitoring and planning maintenance work. Combined with IE4 electric motors and by operation on frequency inverters, a very efficient level of operation can be achieved. KSB's materials laboratory develops and continuously improves special wear-resistant materials. These are extremely resilient to corrosive and abrasive waste water. From these materials our foundry staff produce highly durable components that can withstand adverse conditions for many decades, providing an important basis for minimising the costs of waste water transport in the long term. Materials such as cast iron, stainless steel (duplex steel) and particularly wear-resistant white cast iron used in KSB's waste water pumps make for optimum protection, even from industrial waste water, and ensure trouble-free operation. Building new and upgrading existing water treatment plants is a costly business. 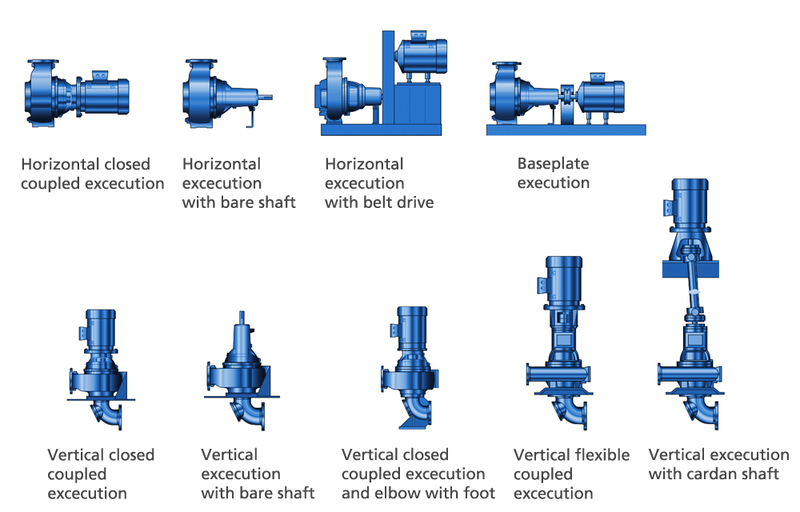 Because the operating efficiency and performance are to a large degree reliant on pumping systems, it is essential that pumps are given due consideration. The challenges of Europe’s largest waste water project – the Emscher conversion- and in particular the aspects that influenced the pump selection for three collossal underground pumping stations. Regular inspection and maintenance included in KSB’s inspection service ensure the reliable operation of pumps and valves in water and waste water installations.